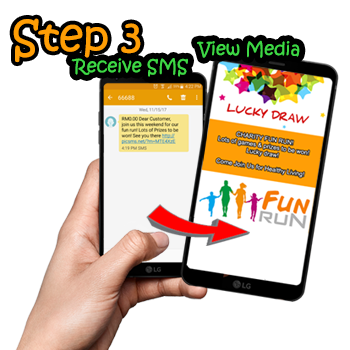 Have you ever wanted the ability to send Multimedia Picture SMS? 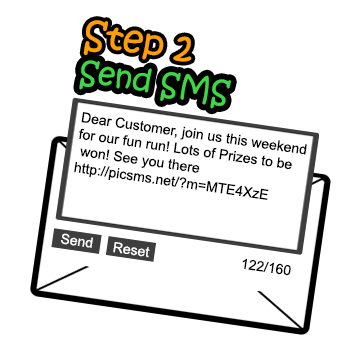 WebSMS2u.com offers you the ability to create and send "MEDIA" messages to your customers and then some more. All this can be achieved in 4 easy steps! 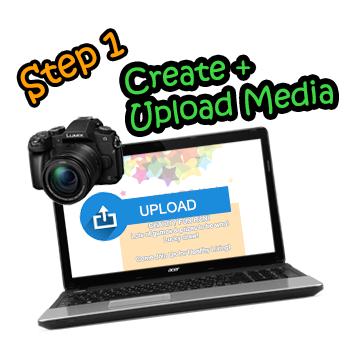 Our system will allow you to create different media types to cater to different requirements. HTML Text is supported which will allow you to do fancy stuff like Text formatting or URL Linking to redirect people to another web page. Short URLs (http://picsms.net/?m=MTE4Xze) are used for the links to the Media in your SMS Message. This saves character space for other more important functions. Long Text Messages up to 500 characters in your Media is supported. If you have a long message to send, save cost by using this method to send your message. HTML Messages will allow you to style your messages to your liking. Put BOLD, italic or even URL Link to your own web pages. 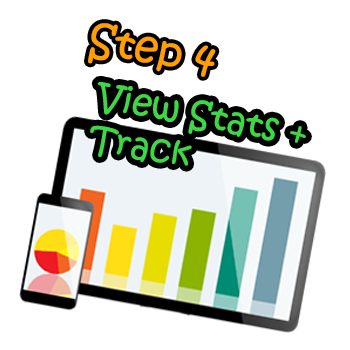 Statistics are captured to allow you to see when and how many times your Media has been viewed. Ability to export them out for later study by your Marketing Team is provided. No Approval Required - No special approvals are required for your Media Messages. However Terms of Usage must be followed strictly. Charges are 1 credit per recipient in additional to the normal route charges. No viewing limit! No additional charges per additional views! The possibilities are endless and up to your creative business immagination. Let us help you bring your business to the next level!